I don’t know how to break this to you, but… we’re hurtling towards the holiday season. If that’s too much for you to take (and I totally understand), then maybe I could just tell you that we’re hurtling towards the turn-your-oven-on-and-bake-things season. Because we’re going to bake it up for the next few months, I’ve come to offer you a toolbox. You know, some tips and tricks about flour and butter that maybe you don’t already know. Every week for the next few months, we’re going to talk about why we do the things we do in the kitchen. Do you really need to sift that flour? Maybe not. What do you mean by ‘cream butter and sugar’? We’ll discuss. Today, we’re going to start at the very beginning…. with the recipe. It’s the map and we need to know how to read it! It starts with a grumble in the stomach. It starts with a craving. It starts with a simple desire to stir together chocolate and walnuts. Wherever it starts, we always find ourselves flipping through cookbooks looking for it. 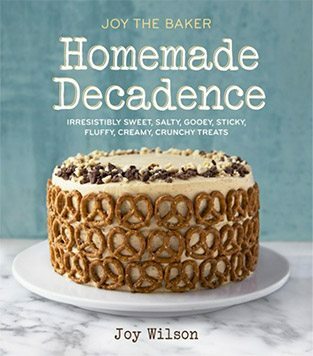 Our search always ends in a recipe: the baking guide. There’s a trick to successfully and correctly read a recipe. The recipe is rooting for us. The recipe wants our brownies to be perfect… but it’s written in a specific language. Let’s go step-by-step. 1. Read the Dang Recipe. 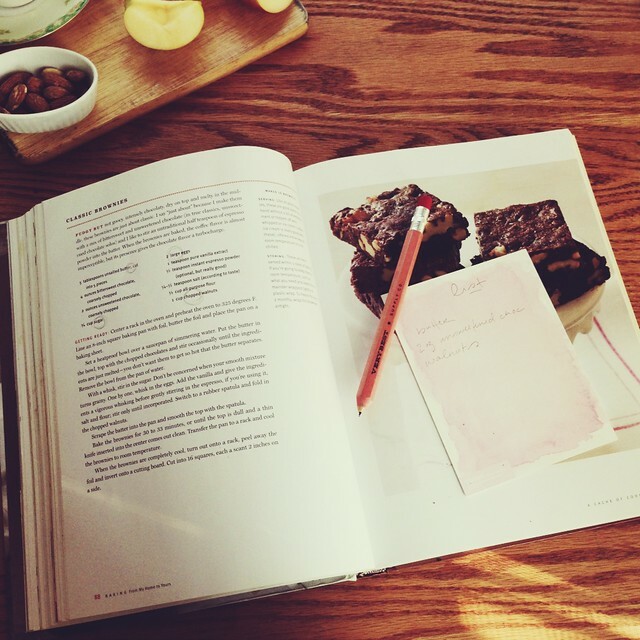 Believe it or not, reading a recipe from beginning to end is a big deal. First, review the ingredients list and read through the instructions. The instructions may have some hidden ingredients (like water), or split the ingredient list in an expected way (like using one egg for a batter and one egg for an egg-wash). You want to know the lay of the land. Read the dang recipe. Trust me. Did you know that a recipe’s ingredient list is usually set up by order of use? Yea. Success! Here’s the ingredient list to my favorite brownie recipe from Dorie Greenspan. In this arrangement, the recipe wants us to know that we’ll first be incorporating butter and two types of chocolate. Next up will be sugar, eggs, and vanilla, followed by our dry ingredients, and classy extras (walnuts). The recipe list is built to help us, help ourselves. The comma is everything when it comes to baking measurements. Every cut, chop, or dice instruction after a comma in an ingredient list is to be done after the ingredient is measured. For example, 4 ounces bittersweet chocolate, coarsely chopped. In longhand, this means… go to the store and buy one of those four ounce bars of chocolate, probably that fancy bar of Ghirardelli that’s next to the chocolate chips in the baking aisle. Buy it. Take it home. Unwrap it. Try not to take a bite because you’re using it for brownies. Put it on the counter. Chop it. Don’t sneak any bites. We know it’s hard. Place it in the bowl with the butter and follow the rest of the dang instructions. These recipe list does not mean chop a bunch of chocolate and measure out 4 ounces and snack on the rest. But wait…. aren’t ounces the same before and after? Where this gets tricky is here: 1 cup sifted flour vs. 1 cup flour, sifted. The absence of a comma is also revealing. For example, 1 cup chopped walnuts. In longhand, this means… go to the store. Splurge on walnuts. Take them home. Chop them with the same knife you chopped the chocolate with (because why would you dirty another knife?). Measure the chopped walnuts in a 1-cup measuring cup and add them to the brownie batter like a boss. One cup of chopped walnuts is very different that one cup of walnuts, chopped. Ya heard? 4. Pack, Soften and Preheat. Recipe lists often request that brown sugar be ‘packed’. Take the back of a spoon and firmly (but not totally Hulk -style) press the sugar into the measuring cup. Add more sugar and pack until sugar is flush with the top of the measuring cup. Boom! Soften butter by allowing it to rest at room temperature for about 1 hour. Don’t cheat yourself or the butter by not allowing the butter to soften before combining it with sugar and eggs. No one wins. We’ll talk at length about creaming butter and sugar soon. Preheat the oven. Biscuits hate a 200 degree F oven. Biscuits love a 400 degree F oven. You love biscuits. Preheat the oven. 5. Is It Done Yet!? Doneness is recipe instructions are usually described by a time range and visual characteristics. Bake brownies for 30 to 33 minutes, or until the top is dull and a thin knife inserted into the center comes out clean. You’ve come this far, now it’s up to you to take your treat out of the oven at the right time. The time and description should give you confidence by providing you with as estimated time and appearance. Trust the process and trust yourself… and standby with the pot holders. Recipe example above from my favorite baking book EVER. 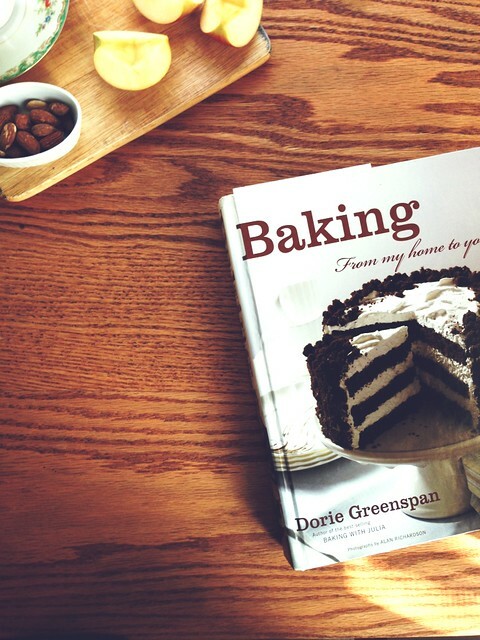 Baking: from my home to yours, Dorie Greenspan. I also love this article The Pleasure of Reading Recipes from The New Yorker. More Baking 101 next week! Also, if you have any specific baking questions, leave a comment below and I’ll address it in a future Baking 101! Oh. My. Word. I’ve been baking for years and have always measured before chopping. *head palm*. You CAN teach an ol dog new tricks! But…but…okay, I get that “1 cup chopped walnuts” can measure very differently than “1 cup walnuts, chopped,” but isn’t 4 ounces of chocolate always 4 ounces of chocolate? The weight isn’t going to change just because you chopped it…is it? Granted, it’s much easier to just plop the little squares out of the package all pre-weighed, but…I feel like I’m failing a math lesson. Or maybe physics. Or Brownies 101. I was going to point out this same thing. 4 ounces (and any weight for that matter) is 4 ounces whether its whole or chopped or whatever. The cup of walnuts example is a great one though. Volume is affected by the size of the pieces. Thanks so much for this post. I am very very guilty of not reading recipes before I get started… and I never knew how important that comma was! I’m really looking forward to this series of posts! i know ounces are ounces. i’m just using the example from the brownie recipe. it’s a good rule to get in the habit of, even it ounces are ounces. I suppose it depends on whether the 4 oz are weight ounces or volume ounces, as in melted chocolate. Four ounces of chocolate, melted is *not* necessarily the same as four ounces of melted chocolate, yes? 4oz cooked chicken breast does NOT equal 4oz chicken breast, cooked (since cooked chicken and raw chicken do not weigh the same). The one that used to get me was that 4 ounces of frozen chicken breast is not the same thing as 4 ounces of cooked chicken breast, not even close — DOH!! If you are logging your food, and you are allowed 3 ounces of meat, does that mean 3 ounces straight from the freezer (no! ), prior to cooking (maybe), after cooking (different weights, depending on how much was it cooked). Same with having “respect for the comma” in baking, I guess. One always has to pay attention to the directions. I guess the process would eat some of the ingredients up. 4 ounces of melted chocolate would still be 4 ounces of chocolate, melted, only if you would wipe clean all of the chocolate clean from the pot. And this is even worse with the case of chopped ingredients since some will fly away or stick to any tools you are using. That’s my humble opinion from experience working in traditional medicine. What a great, useful post. Especially the comma comment. Thanks, Joy! I love this! I never really understood ‘the comma’ until I started writing my own recipes. I was told it is more important to know a good baker than to be one! I always have a problem reading and memorizing a recipe from start to finish, my eyes are always darting up and down all over the place! I really have to take these tips seriously and read the recipe properly before starting anything so I won’t abandon my half mixed batter in the middle to grab an egg or butter or something! I love this post, thank you so much for taking the time to write it up! It’s not just a great reminder of how to read recipes properly, but a reminder of how carefully I should be writing my own, as well. (Especially the part about the commas!) Thank you so much! Gosh Did I learn “read the recipe fully” the hard way…. Too many failed cakes and breads have ended up as trash in my kitchen. I learnt baking is not cooking, it is a science. A bloody delicious science but science none the less. I wonder why people do not use a scale more often in baking but I guess i am going to have to convert every recipe to help me. I can not wait for more baking tips from a expert baker! The comma is facinating! I spend my working hours writing and my non-working hours cooking; but it appears I have never intellegently read a comma in a recipie. Love this! It may seem stating the obvious but I get so many emails from people who tried my recipes but didn’t read it all before jumping in. The bit about the comma is interesting, I never looked at it that way before. I always tend to measure before chopping, but will look out for this comma thing.